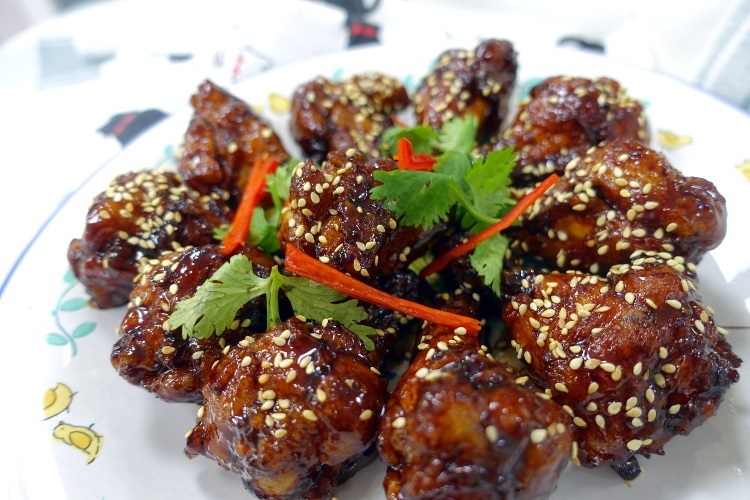 Simple and yummy Marmite Chicken Drumlets using Song-Cho multi-ply stainless steel Optimal Wok and POT! Marinate the chicken drumlets for 30 minutes. In a pot, add oil and deep fry till light golden brown. Drain and set aside. Re-fry quickly for a golden crispy exterior. To prepare the sauce, add all ingredients (except drumlets) into Optimal Wok and bring it to a boil. Add chicken drumlets into the wok and mix till the sauce thickens. Garnish with some sesame seeds before serving.